Dhruv helicopter of the Indian Air Forces, Sarang Helicopter Display Team in 2008. Naval testing on board the INS Viraat and other ships started in March 1998, and around the same time a weight-reduction programme was initiated. However, further delays in development were caused when sanctions were implemented against India following a number of Pokhran-II nuclear tests in 1998 and India's continued refusal to sign the Comprehensive Nuclear-Test-Ban Treaty. As a result, the intended engine for the helicopter, the LHTEC T800, was embargoed. 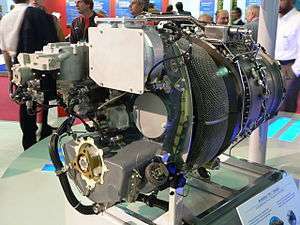 The Turbomeca TM 333-2B2 turboshaft engine was selected as a replacement; in addition Turbomeca agreed to develop a more powerful engine with HAL, originally known as the Ardiden. Turbomeca also assisted in the development of the helicopter, stress analysis and studies of rotor dynamics were conducted in France. The first flight of a Dhruv with the new engine, renamed the Shakti, took place on 16 August 2007. In September 2010, it was reported that the Dhruv's Integrated Dynamic System (IDS), which combines several key rotor control functions into a single module carrying the engine's power to the rotors, was suffering from excessive wearing and was necessitating frequent replacement; as a consequence the cruising speed had been restricted to 250 km/h and high-altitude performance was lessened as well. HAL contracted Italian aerospace firm Avio for consultancy purposes and they subsequently replicated production of the IDS in Italy in order to isolate the problem with the early testing of the Dhruv subsequently being criticised as "rushed". In June 2011 HAL has reported that the issue had been resolved and not present in the Dhruv Mk III, a number of alterations both to the design and production had been made to improve the IDS. A programme of retrofitting the Mk I and Mk II was completed by June 2011. In October 2008, Defence Minister A. K. Antony announced that the Indian Navy will deploy the Dhruv in the utility role. The proposed anti-submarine warfare (ASW) variant had been deemed unsuitable by the Navy, which was reportedly dissatisfied with the folding blade performance and maintenance record. In 2015, HAL modified the foldable rotor's design to allow the Dhruv to be carried on board light frigates; several Indian Navy helicopters shall receive this modification. The Navy has considered the Dhruv for maritime surveillance and search and rescue roles, and in 2008 a senior Navy official said: "The ALH has a long way to go before the programme matures sufficiently for it to undertake basic naval roles such as search and rescue (SAR) and communication duties." In 2013, the Indian Navy was reporedly interested in the HAL Rudra, the armed version of the Dhruv. On 12 November 2013, the Indian Navy commissioned their first Dhruv squadron (INAS 322, Guardians); Vice Admiral Sinha stated that "In the Navy, Dhruv helicopters had transformed into an advanced search and rescue (SAR) helicopter, which is also used for missions like heliborne operations, and armed patrol with night vision devices". In January 2014, the Geological Survey of India (GSI) inducted a Dhruv equipped with a heliborne geophysical survey system (HGSS). Costing ₹63 crore (US$9 million), the HGSS can conduct magnetic, spectrometric and gravity surveys. In November 2005, a Dhruv crash-landed in Andhra Pradesh, causing the entire fleet to be grounded; the subsequent probe found a fault with the helicopter's tail rotor blades, which has since been corrected. In February 2010, an Indian Air Force Dhruv was forced to make a crash landing after suffering a loss of power while rehearsing for the "Vayu Shakti" air show; both pilots survived. On 22 December 2010, a Dhruv crashed in Leh injuring both pilots. On 19 December 2013, a Dhruv armed with weapons made an emergency landing in Karnataka. Capacity: 12 passengers (14 passengers with high density seating) or 4 stretchers. 1 2 "Equipment: Dhruv". Indian Army. Retrieved 13 August 2011. ↑ Jackson, Paul; Munson, Kenneth; Peacock, Lindsay (2004). Jane's All the World 's Aircraft (95th year of issue 2004–2005 ed.). Coulsdon: Janes Information Group. ISBN 0710626142. ↑ Hindustan Aeronautics Limited, October 2013. 1 2 3 Siddiqui, Huma (15 July 2008). "HAL on a Dhruv ride in LatAm". The Financial Express. Retrieved 21 August 2011. ↑ Shukla, Ajai (9 February 2009). "HAL to hand over first export Dhruvs". Business Standard. Retrieved 13 August 2011. 1 2 3 Hirschberg 2011, p. 49. ↑ Datta 2008, p. 12. 1 2 3 Jackson 2003, p. 185. ↑ Khan 2004, p. 248. ↑ Kahn 2004, pp. 248–249. 1 2 Jackson , p. 184. 1 2 "HAL Dhruv (India), Aircraft – Rotary-wing – Civil/military". Jane's. 13 July 2011. ↑ "Dhruv on wings at Paris". Business Line. 5 July 2005. ↑ "Aero India – HAL to target maritime contract". Flight International. 15 February 2005. ↑ Standing Committee of Defence 2007, p. 24. ↑ "Dhruvs with Shakti engine and weapons make maiden flight". HAL. Retrieved 31 August 2010. ↑ Sharma, Ravi (19 July 2007). "Shakti-powered ALH to fly on August 1". The Hindu. Chennai, India. Retrieved 31 August 2010. ↑ "Army to soon get indigenous weaponised chopper Advanced Light Helicopter 'Rudra'". The Times of India. 5 September 2011. ↑ Standing Committee of Defence 2007, p. 45. ↑ "Weaponised version of Dhruv makes maiden flight". The Hindu. Chennai, India. 17 August 2007. ↑ Standing Committee of Defence 2007, pp. 24–25. ↑ "Indigenous combat copter takes to skies". The Times of India. 24 May 2010. 1 2 3 "IAF's Dhruv helicopter crash-lands in Jaisalmer". The Hindu. Chennai, India. 27 February 2010. 1 2 "Dhruv to resume service soon". Outlook India. 10 March 2006. ↑ Standing Committee of Defence 2007, p. 71. 1 2 Egozi, Arie (6 January 2011). "IAI to help India develop unmanned Dhruv". Flight International. ↑ Shukla, Ajai (7 March 2011). "In Siachen, Dhruv proves a world-beater". Business Standard. Retrieved 21 August 2011. ↑ Waldron, Greg (12 July 2011). "India certifies first Dhruv simulator". Flight International. ↑ Kristnan M., Anantha (13 August 2010). "India Develops Oxygen System for High-Altitude Helo Flights". Aviation Week. ↑ "HAL making 159 Dhruvs for Indian Army". Business Standard. 1 February 2012. ↑ Taylor 1998, p. 298. 1 2 Datta 2008, p. 14. ↑ "Lord wins Dhruv active vibration control deal". Flight International. No. 3–9 February 2004. p. 27. ↑ "Equipment: Dhruv". Indian Army. Retrieved 24 August 2011. ↑ "Indigenous? Dhruv advanced light helicopters are '90% foreign'". The Times of India. 6 August 2010. 1 2 Shukla, Ajai, "Indian Dhruv Advanced Light Helicopter gets Italian makeover ", Business Standard, 12 September 2010. ↑ "Hindustan Aeronautics sees spike in light combat helicopter orders". The India Times. 1 June 2011. ↑ Group Captain (Retd) Hari Nair (2013). "Lessons learnt from ALH Project" (PDF). Aero India. Retrieved 15 July 2013. alternate copy. ↑ "Peru, Ecuador Place Orders for HAL Dhruv ALH Helicopters". India Defence. 29 June 2008. Retrieved 1 August 2011. ↑ "Dhruv helicopter display in Farnborough Air Show". The Economic Times. 14 July 2008. Retrieved 21 August 2011. ↑ Shukla, Ajai (9 September 2008). "Light Combat Helicopter to fly soon: India's New Helicopters: Part II". Business Standard. Retrieved 21 August 2011. ↑ "HAL's Dhruv gets CCS approval". The Hindu. Chennai, India. 23 December 2007. 1 2 Mishra, Bibhu Ranjan; Bose, Praveen (17 August 2007). 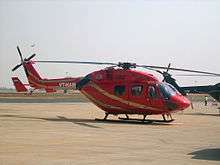 "HAL likely to get Rs420 crore order for air ambulances". Business Standard. Retrieved 21 August 2011. ↑ "Dhruv clears trials to fly high in Siachen", The Times of India, 20 February 2007. Retrieved 8 October 2007. ↑ "Bangalore ALH pilots fly high", The Times of India, 8 October 2007. ↑ Shukla, Ajai (7 March 2011). "In Siachen, Dhruv proves a world-beater". Business Standard. ↑ "Dhruv Advanced Light Helicopter (ALH) - Army Technology". Retrieved 6 February 2015. ↑ Govindasamy, Siva (13 November 2007). "Indian navy opens up utility helicopter requirement". Flight International. ↑ "Navy has not rejected Dhruv: Defence Minister". Zeenews.com. 22 October 2008. Retrieved 21 August 2011. ↑ "Indian Naval Helicopter ALH Dhruv Gets Foldable Rotors". defenseworld.net. Retrieved 25 July 2016. ↑ Sakhuja 2011, p. 106. ↑ "Navy plans to ditch Dhruv helicopters". Hindustan Times. 12 June 2008. 1 2 S. Anandan. "Navy keen on weaponised Dhruv". The Hindu. Retrieved 6 February 2015. ↑ "ALH squadron adds to Navy's fire power". The New Indian Express. Retrieved 6 February 2015. ↑ "Our Products". Helicopter Division Bangalore. HAL. Retrieved 31 August 2010. ↑ "NDMA to get 12 ALHs". Deccan Herald. 20 January 2007. Retrieved 21 August 2011. ↑ "Proposed Airworthiness Directive" (PDF). Directorate General of Civil Aviation. 22 March 2011. ↑ Kristnan M., Anantha (24 March 2011). "India DGCA wants all Dhruv Civil Variants Inspected". Aviation Week. ↑ "Earthquake in Sikkim: Over 5,000 troops, 9 choppers dispatched to quake-hit areas". The Economic Times. 19 September 2011. ↑ Gupta, Amit (22 October 2011). "State copter out of action, pilots idle – On 9-month upkeep break". Calcutta, India: Telegraph India. ↑ "SOS to Centre for MI-17s". Calcutta, India: Indian Telegraph. 19 October 2011. ↑ Dholabhai, Nishit (20 October 2011). "Glare on chopper operator – Pawan Hans-run copters involved in six accidents this year". Calcutta, India: Indian Telegraph. ↑ "MHA plans to buy, wet-lease choppers as Dhruv fleet grounded". Hindustan Times. 1 February 2012. 1 2 "Happy hours in HAL over Dhruv's Char Dham Op". The New Indian Express. 17 July 2013. Retrieved 17 July 2013. ↑ Kumar, Vinay (20 June 2013). "Dhruv helicopters fly high in Uttarakhand". The Hindu. Chennai, India. Retrieved 5 July 2013. ↑ "How brave, tireless pilots fought to give Uttarakhand a sheltering sky". NDTV. 4 July 2013. Retrieved 5 July 2013. ↑ Dutta, Sujan; Dholabhai, Nishit (14 July 2013). "Dhruv delivers but doubters persist Copter comes good in hills". The Telegraph. Calcutta, India. Retrieved 15 July 2013. 1 2 "Advanced light helicopter 'Garuda Vasudha' dedicated to nation". Business Standard. 23 January 2014. Retrieved 23 January 2014. ↑ "Garuda Vasudha to detect deep-seated mineral deposits in the country". Deccan Herald. 23 January 2014. Retrieved 23 January 2014. 1 2 "HAL copter to add teeth to GSI mineral search". The Hindu. Chennai, India. 23 January 2014. Retrieved 23 January 2014. ↑ Unnithan, Sandeep (14 February 2004). "Getting A Boost". India Today. Retrieved 21 August 2011. ↑ Singh, Jangveer (17 June 2005). "Dhruv, IJT attract buyers in Paris". The Tribune. Retrieved 21 August 2011. ↑ Singh 2008, p. 536. ↑ "DRDO looks beyond HAL for Tejas production". Business Standard. 24 March 2011. Retrieved 21 August 2011. ↑ "HAL Bags Order from Ecuador". Pib.nic.in. Retrieved 31 August 2010. ↑ "HAL to hand over first export Dhruvs". Business Standard. 9 February 2009. Retrieved 31 August 2010. ↑ "Ecuador Place Orders for HAL Dhruv ALH Helicopters". Indian Defence. Retrieved 13 August 2011. ↑ "La FAE defiende a los helicópteros Dhruv". Elcomercio.com. 29 July 2011. ↑ "Ecuador to return 6 Indian Dhruv choppers". OneIndia News. 30 October 2009. ↑ "Probe finds pilot error caused Dhruv crash in Ecuador". The Hindu. Chennai, India. 15 December 2009. ↑ "HAL plans treat for Aero India". Business Standard. 4 February 2011. ↑ "Ecuador grounds fleet of Dhruv choppers after mishaps, cancels contract with HAL." Deccan Herald, 16 October 2015. ↑ "Ecuador cuts Dhruv helicopter contract with HAL after 4 crashes". Times of India. 16 October 2015. ↑ Rivas, Santiago (21 October 2016). "Ecuadorian Air Force selling its remaining Dhruv helicopters". IHS Jane's 360. Buenos Aires, Argentina. Retrieved 22 October 2016. ↑ "Chile inks contract with Bell for 412". Dallas Business Journal. 12 December 2007. ↑ "Indian Dhruv Advanced Light Helicopters Demonstrated to Chilean Air Force, Army, and Naval Aviation units". Israel Aerospace Industries. 25 July 2004. ↑ "US pressure robs chopper order from Hindustan Aeronautics". The India Times. 4 May 2008. Retrieved 31 August 2010. ↑ Bose, Praveen and Ravi Menon (24 June 2008). "HAL secures copter order from Peru". Business Standard. Retrieved 26 August 2011. 1 2 "HAL in negotiations with S American countries". Business Standard. 16 July 2008. Retrieved 31 August 2010. ↑ O'Sullivan, Arieh (26 May 2005). "Defense Ministry leases Indian-made chopper to ferry VIPs". The Jerusalem Post. ↑ Sinha, Rakesha (18 December 2004). "Dhruv to spread wings in Israel fleet this January". The Indian Express. ↑ Gritskova, Alexandra (11 July 2006). "Military Cooperation, Russian MI-17 to Land in India". Kommersant. 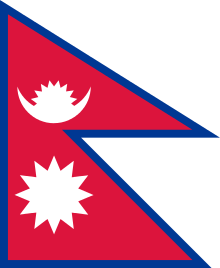 ↑ India to sell 2 Advanced Light Helicopters to Nepal. Islamic Republic News Agency, 11 February 2004. ↑ Pubby, Manu. "India bags $20 mn helicopter contract". The Indian Express. (online edition). 10 August 2008. Retrieved 30 August 2008. ↑ "HAL hopes to see Dhruv copters on Malaysian shopping list". Business Line. 24 December 2004. Retrieved 31 August 2010. ↑ "HAL aircraft to fly in Ecuador skies". Sify.com. 11 February 2009. Retrieved 31 August 2010. 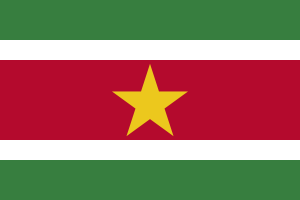 ↑ "'Threat' to EU-Burma embargo", BBC News, 16 July 2007. Retrieved 8 October 2007. ↑ "Indian helicopters for Myanmar: making a mockery of the EU arms embargo?". Amnesty International, 16 July 2007. ↑ Taipei Times, p. 5, 17 July 2007. Quote: A government source who asked not to be named, denied any wrongdoing and said India "does not attach much credence to reports by Amnesty International. India does give defense hardware support to Myanmar but the equipment is not offensive ... and not top of the line technology," said the source, asserting that Myanmar was helping in the battle against insurgents in India's northeast. Another Indian official, who also spoke on condition of anonymity, said that the technology concerned was for communications only and not for offensive operations. ↑ "HAL Dhru to Maldives". airforcenews.ru. Retrieved 13 August 2011. ↑ "India donates second naval Advanced Light Helicopter to Maldives". thehindu.com. Retrieved 3 September 2014. ↑ "Modi holds strategic talks with Nepal, gifts Bodhi sapling, helicopter". 25 November 2014. Retrieved 6 February 2015. 1 2 Hirschberg 2011, p. 50. 1 2 "Dhruv - Advanced Light Helicopter (ALH)". IDP Sentinel. Archived from the original on 2013-06-15. Retrieved 2013-06-15. ↑ "HAL To Deliver More Dhruv Mk. 3 Helicopters". Aviation week. 7 March 2011. Retrieved 6 September 2011. ↑ "Dhruv MkIII Inducted Into Indian Air Force". DefenceNow. 9 February 2012. ↑ Hirschberg 2011, p. 51. ↑ "YEAR-END REVIEW – 2010 DRDO". Press Information Bureau. Retrieved 31 July 2012. 1 2 3 4 5 6 "World Air Forces 2014" (PDF). Flightglobal Insight. 2014. Retrieved 5 September 2014. ↑ "BSF gets Rs360 crore for raising 29 new battalions". Livemint.com. 20 May 2009. Retrieved 31 August 2010. 1 2 "HAL dhruv gets ccs approval". Chennai, India: hindu.com. 23 December 2007. Retrieved 2013-02-12. ↑ "HAL delivers Dhruv to Jharkhand". The Hindu. Chennai, India. 3 September 2007. Retrieved 21 August 2011. 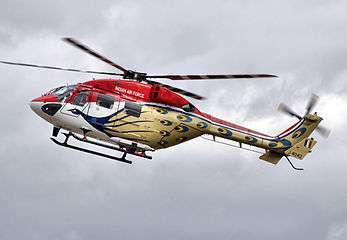 ↑ "Ecuador cuts Dhruv helicopter contract with HAL after 4 crashes - Times of India". The Times of India. Retrieved 2016-01-31. ↑ "Ecuador cancels deal with HAL for 'crash-prone' Dhruv - Times of India". The Times of India. Retrieved 2016-01-31. ↑ "Before show, showpiece crashes". The Telegraph. Calcutta, India. 3 February 2007. ↑ "Sarang loses it soul, four years after crash". DNA Syndication. 14 January 2011. Retrieved 11 December 2013. ↑ "Sarang Incident". The Hindu. Chennai, India. 3 February 2007. ↑ "Pilot at fault for Dhruv crash in Ecuador: Probe". The Times of India. 16 December 2009. ↑ "Wreckage of Dhruv, bodies of 4 personnel found". The Hindu. Chennai, India. 22 March 2011. ↑ Lal, Manohar (21 October 2011). "After crash, CRPF grounds Dhruv copters". The Times of India. ↑ "5 hurt as BSF chopper "Dhruv" crashes at Raipur airport". United News India. 15 January 2012. ↑ "Maoist fire damages BSF helicopter - Indian Express". indianexpress.com. Retrieved 25 July 2016. ↑ PTI (13 May 2013). "Dhruv helicopter crashes in Siachen glacier; pilots safe". thehindubusinessline.com. Retrieved 25 July 2016. ↑ "Military chopper makes emergency landing". 20 December 2013. Retrieved 25 July 2016 – via The Hindu. 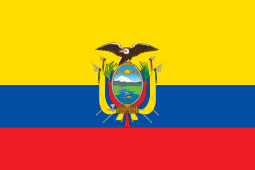 ↑ "Presidential helicopter crashes in Ecuador, three dead". Zee News. Retrieved 6 February 2015. ↑ "3 Die in helicopter crash in Ecuador". Fox News. 21 February 2014. 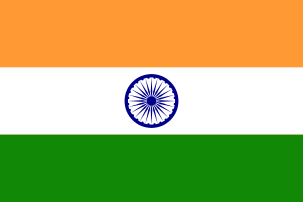 ↑ "IAF helicopter crashes in Uttar Pradesh, 7 dead". The Times of India. Retrieved 6 February 2015. 1 2 "Segundo helicóptero Dhruv se accidentó este mes". El Universo. Retrieved 6 February 2015. ↑ "Pilot and co-pilot killed in Army helicopter crash in Kashmir". intoday.in. Retrieved 25 July 2016. ↑ Crawford 2003, p. 39. ↑ "Page Not Found". hal-india.com. Retrieved 25 July 2016. ↑ "Safran Group". Turbomeca. Retrieved 31 August 2010. ↑ "..:: India Strategic ::. IAF: ALH touches 20,000 feet and Cheetal 23,000". Retrieved 6 February 2015. Crawford, Steve (2003). Twenty-First Century Military Delicopters: Today's Fighting Gunships. Zenith Imprint. ISBN 0-7603-1504-3. Datta, Saikat (14 July 2008). Hay After A Long Hover. 48(28). Outlook Publishing. pp. 12–13. Hirschberg, Mike (Spring 2011). "From Chetak to Dhruv: The History of HAL Helicopters" (PDF). VertiFlite. pp. 46–52. ↑ "Segundo helicóptero Dhruv se accidentó este mes". eluniverso.com. Retrieved 25 July 2016.